UPDATE: Extra Credits has informed us via Twitter that the above video was actually created on Aug. 4, 2010 and uploaded onto YouTube in 2012 after EC got its own channel. 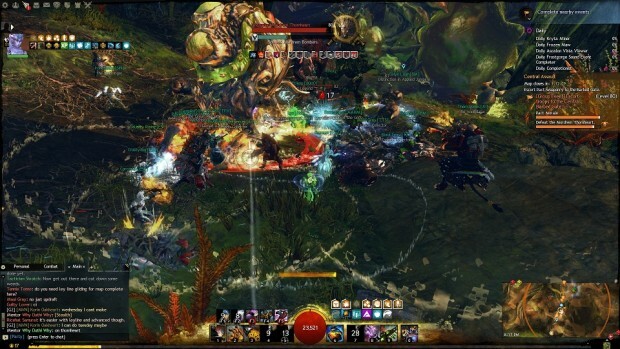 In a way, early 2012 was the last optimistic hurrah for big-name MMORPGs. Star Wars: The Old Republic had just launched, in December 2011. Rift came earlier in the year. The Secret World and Guild Wars 2 were on the near horizon, both launching later that year. The Elder Scrolls Online (announced in May 2012), WildStar, and Final Fantasy XIV: A Realm Reborn were known to be coming later. And while we didn’t know much about EverQuest Next, its sheer promise had us frothing at the mouth for any tiny tidbits of info we could gleam from SOE. It wasn’t the best of times, maybe, but it wasn’t the worst of times either. There was evidence of a shift in MMOs, from the standard vertical grind with kill-ten-rats quests toward a raiding endgame, and this was the future I, and many others, latched onto. I thought that if “traditional” – meaning World of Warcraft-clone – MMOs were stagnating, companies would try something different. Guild Wars 2 seemed to be leaning heavily in that direction, but several of the other new or upcoming titles mentioned above also had elements like that to them. There was hope that the genre could re-invent itself and that all the new games could usher in a new MMO Golden Age. 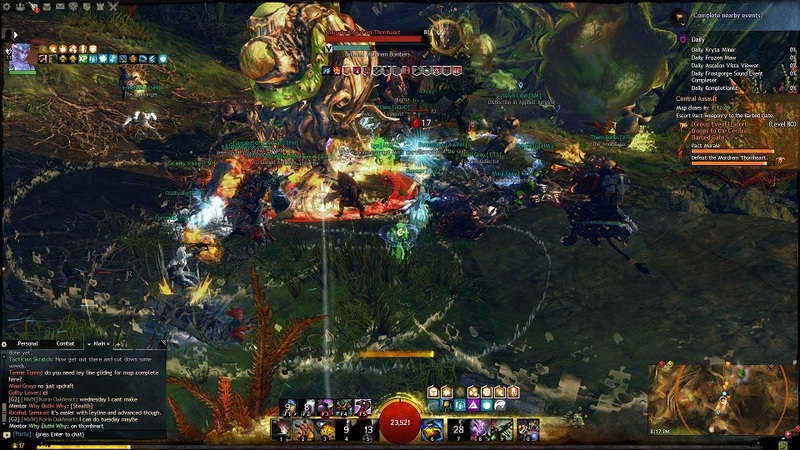 Now, here we sit, five years later, and the MMO landscape is … well, less MMORPG and more MMOwhatever. I was right on some level, but it turns out that “something different” was less about making better MMORPGs and more about making other types of games – shooters, MOBAs, CCGs, survival games, and so on. Last year’s shuttering of EverQuest Next was, to me, the final strike against the revitalization of the MMORPG. The Golden Age never came to be. I wasn’t the only one thinking about the future back then. This past weekend, I came across another set of thoughts about the MMO industry from early 2012, preserved in video form. In January 2012, the Extra Credits crew produced a video titled “The Future of MMOs – Why Are There So Many WoW Clones?” (In fact, it was just their third video after establishing their own YouTube channel.) I was curious to see what their thoughts would be on the future of the industry, and how it matched up with reality, five years later. We’ll get into the notion that MMO-style games have gotten cheaper, but it’s also worth noting that this video was produced before crowdfunding really took off. While not every game can be Star Citizen, with its $140+ million windfall, independent studios have found new ways to generate the kind of funding needed to make an MMO – albeit smaller ones – without the restraints of investors or a publisher. This is the part that they nailed perfectly. They referenced shooters and sports games as early examples of this trend, and the concept has really taken off since. Interestingly, despite being around and already pretty popular in early 2012, neither World of Tanks nor League of Legends are mentioned as other seminal games following this trend. I don’t play games on social media or mobile devices, so I could be off with my analysis, but it seems to me that while those types of games are extraordinarily popular, they don’t come across as particularly “social.” I think this trend was already on the downturn in 2012, and they’ve found it more lucrative to squeeze money out of people’s accounts than to try and get them to link up with their friends. At the very least, I don’t get nearly the same number of “help my farm”-type requests as I used to. It’s around the 5:25 mark that the question of specifically MMORPGs, and not online games in general, finally starts to be answered. Of course, they lead off with a “WoW is dying” prediction, which hasn’t really come to pass. Predictions of Blizzard releasing a new MMO died with Titan’s shuttering; even if Overwatch did rise from the ashes, it’s not an MMORPG in the style of World of Warcraft. While those barriers have been reduced over the past few years (megaservers! ), I’d say they haven’t gone away entirely. You could maybe reach and include what happens in quest-less survival games as “player-driven story lines.” And games like Neverwinter and Star Trek Online tried to do player-created quests, meeting the definition of “limited success.” But I think this was mostly a call for an open, sandbox-style type of gameplay in MMORPGs, and that just hasn’t happened yet. Well, the first part is right. But microtransactions are working well enough that games don’t seem to need or want to change. I can view ads on Twitch to get bits that I can use to support streamers, but they haven’t made their way directly into the games. I even mused on the topic a couple years ago, and it still hasn’t come to pass. While not in wide use today, these ideas do sound a lot like ARGs or games like Pokémon Go. Not a bad prediction for 2012. My overall impression of Extra Credits’ predictions were pretty good, and I give them a solid Da-Bomb for their prescient video. When it comes to purely MMORPGs, I think we both agreed that the genre couldn’t keep going the way it had and that it would have to change in the coming years. We were partially right; if anything, I think I was the more optimistic one back then, believing the genre would change and adapt. Instead, however, the MMORPG market has mostly retreated and shrunk. It’s been replaced with other types of MMO games, the smaller and cheaper types we were just starting to see the genesis of five years ago. These days, there’s not a single “pure” MMORPG on the horizon that I’m truly interested in, and I’d wager a lot of other people feel the same way. The hype train has changed rails to other types of games, which can be a lot of fun, but don’t provide quite the same thrill as an open world, filled with endless possibilities and an RPG-like experience. Maybe that’s not such a bad thing, when we have excellent single-player RPGs like The Witcher 3 or The Legend of Zelda: Breath of the Wild to fill that gap. In any case, I’m no longer waiting for the “next big thing.” I’m rooted much more in the present than the future, whether it’s with an MMORPG that’s already out there, like FFXIV, or the aforementioned single-player games. After years of anticipation and disappointment, I’d rather live in the moment and enjoy what I’ve got instead of wonder overlong about what the future may bring and hope it meets all my lofty expectations. I truly miss the good days of MMOs. Anarchy Online, Everquest 2, Age of Conan. 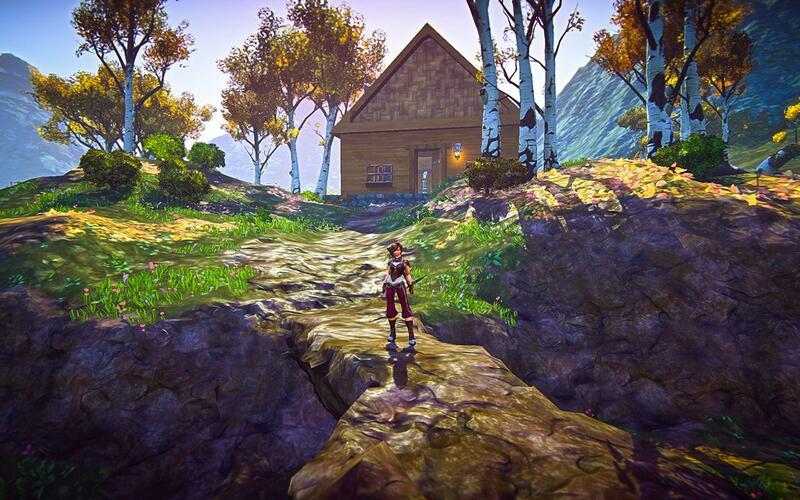 Almost nobody seems to be making REAL MMORPGs anymore. Maybe Pantheon will fill this space, as it seems to be the last hope for “old-school done modern”. Everything today is either spoon fed content with some cash shop on the side, or a massive grind fest imported in from the east. I think I’ll just go play an old game, none of the new ones are worth playing.